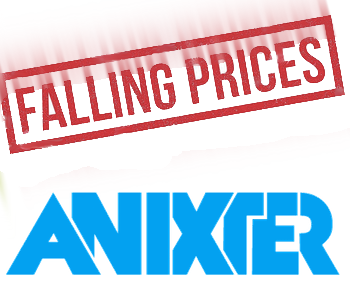 Falling video prices are such a concern that it has become a notable topic for Anixter's financial results and Anixter's executives. In this note, we examine Anixter's executives comments and what this means for the video surveillance market. ******* ***** ****** *** **** * ******* **** ** *** become * ******* ***** *** *******'* ********* ******* *** *******'* executives. ** **** ****, ** ******* *******'* ********** ******** *** **** this ***** *** *** ***** ************ ******. ***/***, ******* ** ****** **** ****** ** ***** ******** *** declining *** **** ****** *** ****** ***** **** ***** ********. ******** ***** ****** ******* ** ********** ******** ** *** *** price ********* ** ******* ******* **** ********* *****. 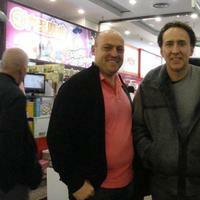 *** ****** ** ***** ********* ** ******** ******* ********** **** as ***** ************ ******** **** * *** *****. *** ***** *** ******* *** *** *** ** *** ***** end ** *** ****** ** ******** *** ******. ** **'* *** *******, **'* ********, **'* ****, **'* ** different **** ** ***** *** ****** **** ***** ** **** buy ** ******** ** *** ******** ****, **'* ***** ******** of ******** **** ** ****** **** ** **** **** ***** deflation. *******, *******'* "******** ***** ********* *. *% ** ** ******* *****" to $*** ******* (~$*. * ******* ****** ***-****). ******* ******** **** gained ***** ** ********, ******** ***** ****** **** *** ******* security ****** ** ******* **** **** *.*%. **** *** **** ** *** ****** *** ** *** ******, we ** *** ************* ** ******* ** ****, ********** ** you ***** **** ***** ****** *** *********. **** *** *** ****** *** ***** ***** ** ***** **** year (********* * ******), **** ******* ****** *** ******* *** impacting ******* ** *** * ********. ** ******* **** ******* distributors *** *********** **************** ****** *** ** ****, ** **** **** **** ***** and ****** ********* (*. *., ******* ***-**) ** *************. ** ** *** ******** ** *** *** **** ********* ** both ***** *** *********'* ****** **** **** **** ** ************* issues ** ** **** *** ***** ********. **** **** **** moving ** ****** *** ********** *********** ****** ** ******-****** ******** harder ** **** **** ** **** ********* ** ****** ***** those ******. *** ***** *********** ***** ** **** ** ** *** ***** how **** ***** *** ***-**** ********* *** **. ***** **** sell *** **** **** ****** ** *****, *** **** ****** cost ********* ** ***** ******* *****, *********, *******, ********, ************ (e.g., ********* **** ******* *** ***), ***. ****** ****** ******** to **** *****. ** *** ***** ****, ***** *** ********* have ****** ********* ****** ** ***** ** ********* ******* ** they ******. *** **** ** ***** **********, **********'* ** **** ********** **** **********.